We at Norefjell Ski & Spa handle your personal information in different contexts, such as when you book our services, stay overnight at our hotels, use services we provide and also in some other contexts. In our privacy statement, you will find more information about our processing of personal data. Below you will also find contact information if you have questions or require access. Our company Norefjell Ski & Spa, org. Nr 992303670, Bøseter, 3536 Noreund, tlf +47 32 14 82 00, email: booking@norefjellskiogspa.no is responsible for processing personal information in our booking, billing and hotel management systems. We are also the processor for our marketing and mailing of emails to our customers and contacts. Norefjell Ski & Spa wishes to offer our customers the best possible hotel stay according to each guest’s preferences and purchase history. 2.1 To improve the user’s experience of the website, Norefjell Ski & Spa must be able to make changes to it. 3.1 All content on the website is owned, unless otherwise specified, by Norefjell Ski & Spa or Nordic Choice. 3.3 Unless otherwise specified, reproduction, publication, processing, transfer, storage or other use of the content on the website is prohibited, except with written consent Norefjell Ski & Spa or Nordic Choice. Exceptions are made for random storage of dates or printouts for personal use. 3.4 Use of trademarks and logos that appear on the website, assumes Norefjell Ski & Spa ’s or Nordic Choice’s or other concerned rights holder&#39;s prior written consent. 4.4 As we are not responsible for the handling and privacy of your personal information on third party websites, we recommend that you read the terms and conditions that apply to your use of such web pages. Use of third-party pages is solely at the user&#39;s own risk. 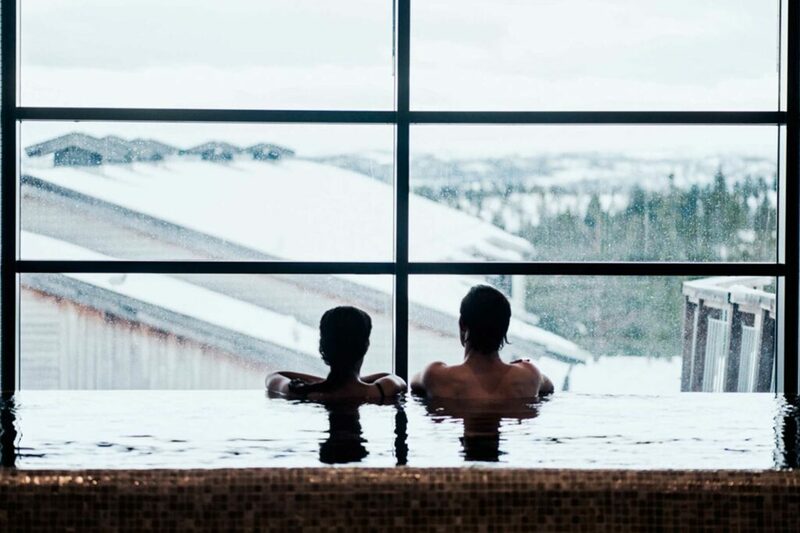 5.1 Norefjell Ski & Spa gives no guarantees regarding the website&#39;s function or availability. 5.2 In addition, Norefjell Ski & Spa does not guarantee that the information available on the website is correct or complete. This includes information about products, services and offers as well as other information as stated on the website. 5.3 Norefjell Ski & Spa is not responsible for any direct or indirect damages caused by the site&#39;s utilisation, or information on the website, to the extent that such liability does not result from applicable legislation. 6.1 Norefjell Ski & Spa, and our cooperation companies will use the information you provide for transactions on the website. Such information includes credit and debit card information as well as addresses for deliveries and invoices. 6.2 Norefjell Ski & Spa takes all reasonable steps to protect the information you provide in this area in connection with transactions.